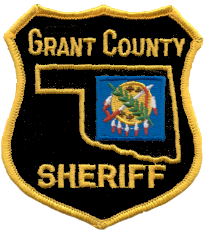 The Grant County Jail does not accept cash or money orders for inmate deposits. Clothing items up to Three (3) White Shirts, Three (3) pairs of white underwear, Three (3) pairs of white socks, One (1) set of white thermals may be sent to an inmate as long as all items are new and in original packaging. Sweatpants and excess items will be refused. Hygiene items, paper and food items will be refused. Additional items may be ordered on commissary.